A new initiative by French President Emmanuel Macron will give civil society activists the opportunity to discuss their ideas in the youth, education and mobility sectors. A summit taking place in Marseille in June will discuss the important role of the region's particularly active civil society. The summit will consist of a meeting of the heads of State and Government and a regional dialogue with prominent civil society representatives from Malta. 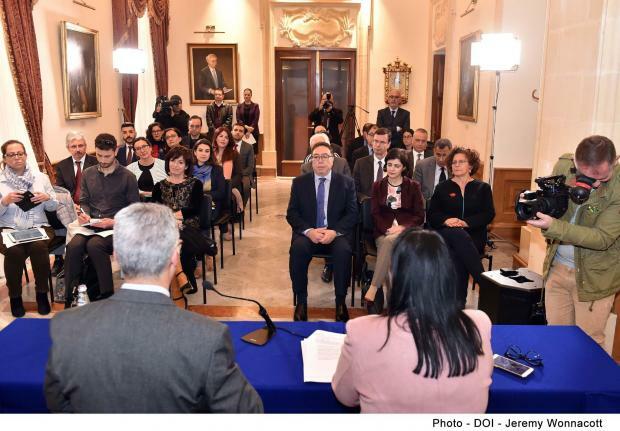 Speaking about the initiative, Foreign Affairs Minister Carmelo Abela said Malta has always been a location of dialogue, tolerance, cooperation and trade. "This approach is not just a matter of consequence but is rooted in a strong and principled belief that peace, stability, and prosperity in the region represent Malta’s and the region’s vital interests," he said. In April, Malta will host one of the five regional civil society fora that are being organised in preparation for the summit. It will focus on "Youth, Education and Mobility". For each of the five fora, Malta will be represented by a man and a woman with Prof. Simone Borg as the chef de file. "Together with other personalities from the nine other Mediterranean countries, these participants will have the opportunity to propose a number of initiatives which will be presented to the heads of State and Governments in Marseille for their endorsement. These will then be translated into real and tangible projects," Mr Abela said. Following the completion of the five fora, the Maltese representatives will participate in L’Assemblée des Cent, where 10 participants from every 5+5 country will meet in Tunis to present their conclusions from the project. Those interested to participate in the pre-summit forum in Malta may send an email to s2r.mftp@gov.mt by 5.15pm on April 12.